This very comfortable tray was designed so that you can carve right in your lap (requires use of the 4″ hose adapter and a length of 4″ hose). But it is much more than just a lap tray. Stand it on edge and it excels at picking up dust from small stationary belt sanders and small grinders. The built-in lips are not only comfortable to rest your arms on, they can also be used to fashion the lap tray into a drawer that conveniently stores away under your desk or bench. Approximately 13″x17″x2″ deep. Exhaust air discharges from the side of the Razaire 530. This adapter slips down over the exhaust, re-directing the air towards the back of the unit. Useful in classes, but itʼs also great to re-direct air in many other situations e.g. when using your Razaire 530 beside a tabletop sander or scrollsaw. It is also recommended that you use this deflector when using a Razaire 530 without the front hood. 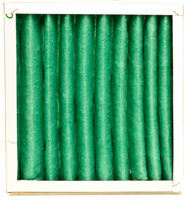 Standard 30% efficient (green) filter. 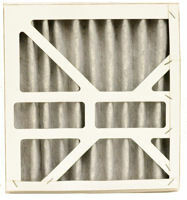 Best for general wood dust applications, or as the first (front) stage when using higher efficiency filters. It is the easiest to clean and the longest lasting. 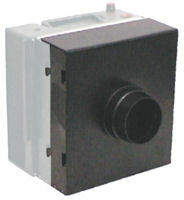 Extra 2″ filter frame for Z530. Infinitely stackable. 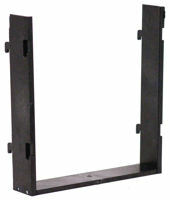 Use this frame to add a second or third filter stage to your Razaire 530 dust collector. Snaps into existing frame quickly without any tools necessary. High 80% efficient (white) filter. 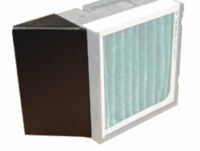 Our most efficient filter; best used for hard to capture particles like soapstone and eggshell. Also good for maximum efficiency when a single stage is desirable. 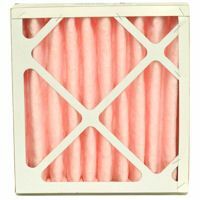 Because of the fine weave of this filter it is not as easily cleaned as the others and will require more frequent replacement. 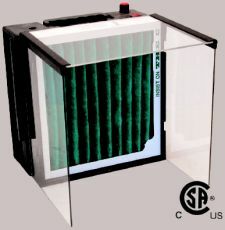 For best results we recommend using it as a second stage with a standard filter in front.